Rolex watches are the epitome of luxury and a coveted status symbol. More than 700,000 of them are produced for the global market every year. However, they are also one of the most counterfeited watches in the world. If the price sounds too good to be true, it probably is. To shoppers in the know, spotting a fake Rolex can be easy. Look for the following characteristics before making a deal that sounds ridiculously too good to be true. Check the metal: Rolex uses only stainless steel, platinum, and 18k gold. A Rolex is never 14k gold or any other metal or glass. It also does not have any engraving on the back. 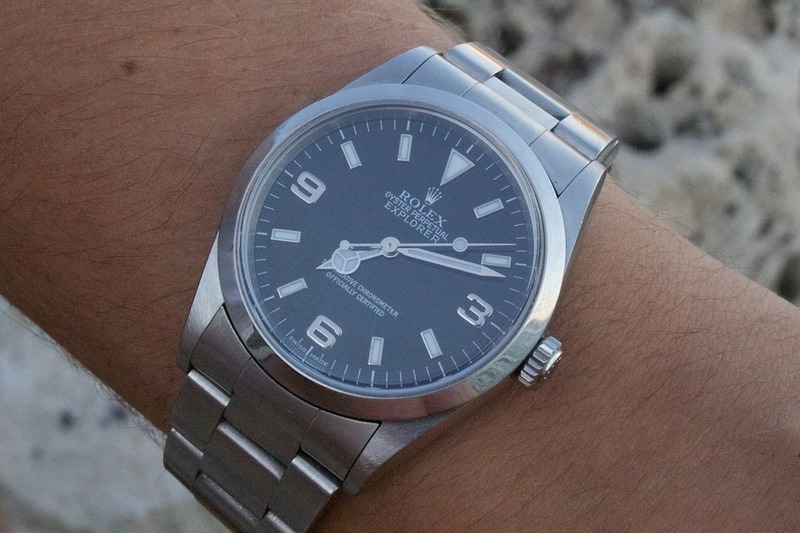 However, a used Rolex may have a personal engraving. 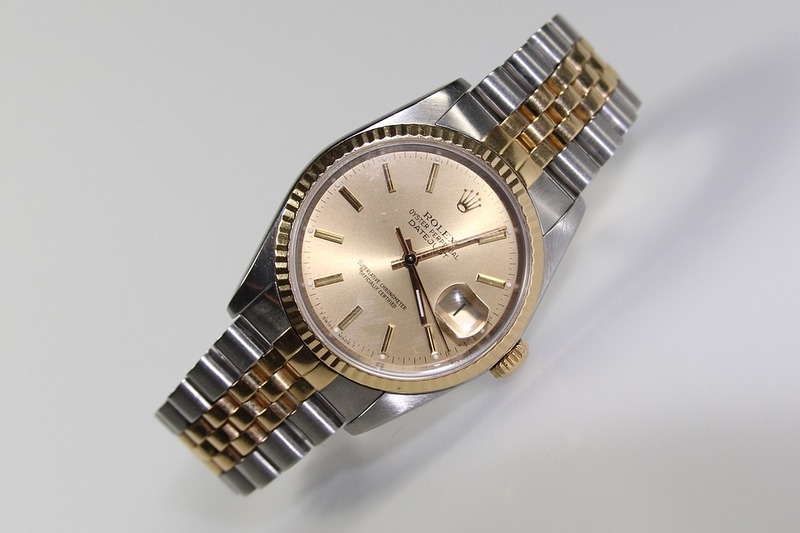 Faded gold or metal showing through the metal marks, especially on the bracelet, helps you spot a fake Rolex. Check the date magnification: Rolex watches have a magnification glass called a “Cyclops” above the date. The date should be magnified 2.5 times, making the date jump out and take up the entire magnification bubble. 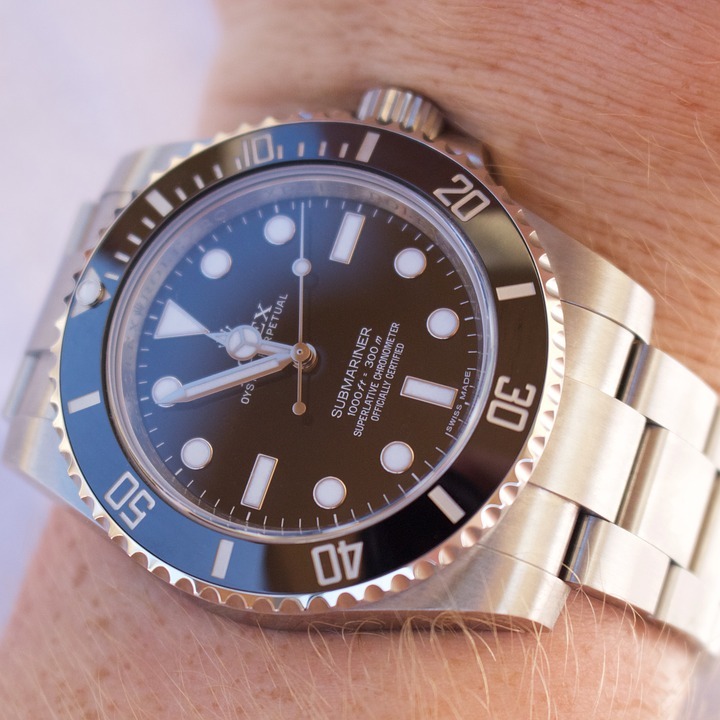 Most counterfeit Rolex watches omit the Cyclops or include a less effective lens. They may have a magnification of 1.5 times or lower. If the date through the Cyclops or from the side looks the same size or is difficult to see, it makes it easy to spot a fake Rolex. Check the model case number: Rolex watches have sealed back cases, so it will be difficult to look inside. Rolex etches the model (case) number between the lugs at 12 o’clock, and the serial number is between the lugs at 6 o’clock. 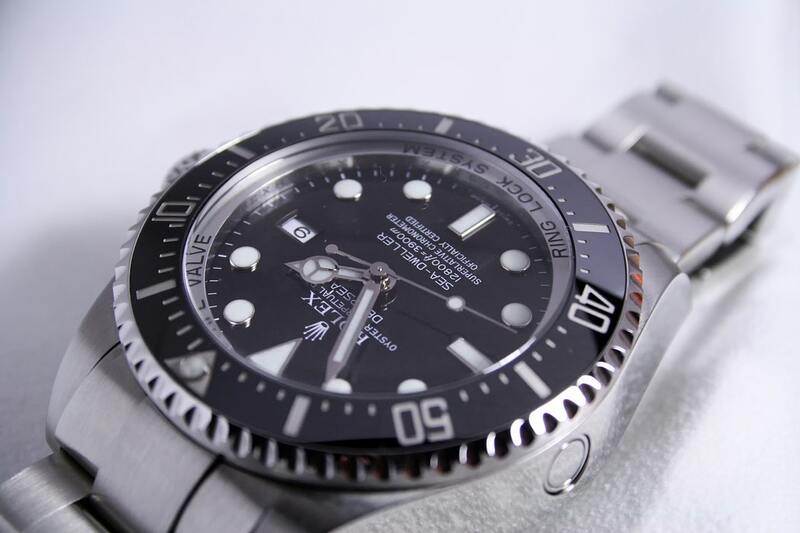 Many fake Rolex watches have a model and serial number in the correction positions, however, Rolex’s real models and serial numbers can be found with a quick Google search. Hold the watch. 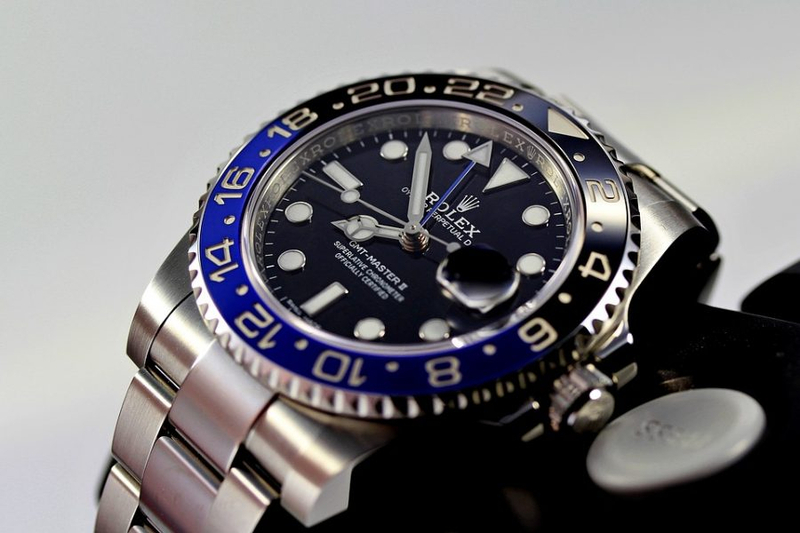 Due to the choice of fine metals used by the manufacturer, Rolex watches are heavier than their lightweight counterfeits. Observe the second hand. It should move smoothly. Fakes have stuttering second hands. Listen to the watch. Rolex watches never make ticking noises. Inspect the winding crown: Fake watches have basic winders, or crowns, that move the hour and minute hands, possibly accompanied by large crown guards surrounding it and winding sounds that appear cheap. A Rolex has a finely crafted crown that is engineered with high quality giving it a crisp sound as you wind the crown and includes a thick gasket for water tightness. The engravings and grooves of a true Rolex are as intricate and symmetric as a work of art. Asymmetry is a tell-tale sign when trying to spot a fake Rolex watch. Rolex watches are crafted with precision, quality materials, and a refined finish. 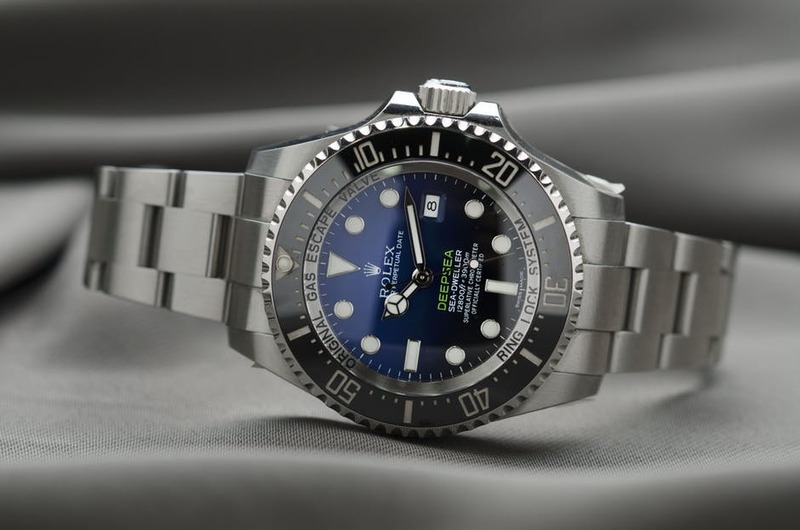 With this basic knowledge of how to spot a fake Rolex, you will not be fooled by counterfeits of a Rolex replica offered along with ridiculously low prices. While this list covers some of the most common features of a counterfeit, some fake renditions turn out to be realistic since the counterfeiters’ tactics can change over time. If you are asked to pay decent money or more and your inspection makes you believe it is the real thing, be sure to take it to a jeweler for verification! Omega Speedmaster vs. Seamaster: Which is Right for You?